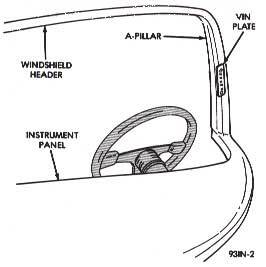 The Vehicle Identification Number (VIN) is located on the left A-pillar inside the windshield opening. 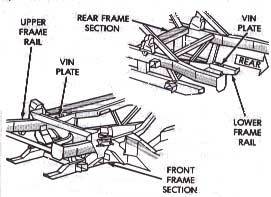 Additional locations include: the top of the front passenger side frame rail, the top of the rear passenger side lower frame rail, the right side of the block (near the transmission bell housing), and the drivers side of the transmission tailshaft housing. 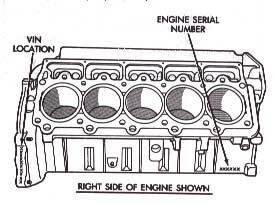 The VIN consists of 17 characters in a combination of letters and numbers that provide specific information about the vehicle. All communications or inquiries regarding the vehicle should include the month-day-hour (MDH) and the vehicle identification number. 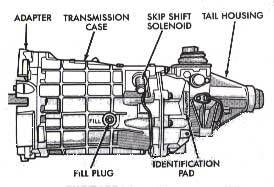 The MDH is located on a label attached to the drivers side door, just below the latch mechanism.